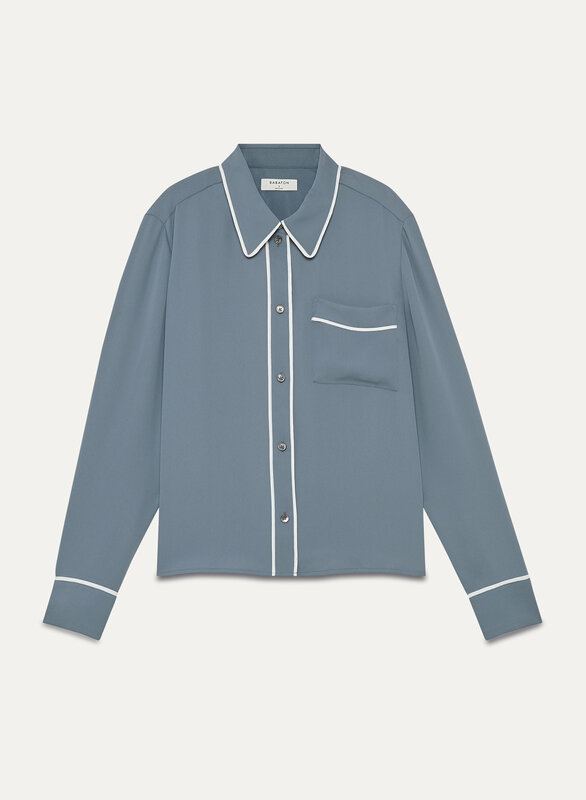 This classic button-up is cut from matte satin with a slinky, soft texture — contrasting piping adds interest. I ordered the white one. Fits perfectly. Wear it with a skirt or jeans and a pair of western style boots! I really wasn’t sure about this shirt because it seemed short and too much like a pj top (I know that’s the style). Since Aritzia has a great return policy, I took the gamble and I love the shirt. It is a little short, sitting on the top of the hip rather than below it, but I really like how it sits. The colour is gorgeous and the white piping really just makes it pop. Would love to see this in red!